Like many people nowadays, a family in Adelaide, Australia was growing their own homemade coral reef. (It’s a popular activity—at expos like New Jersey’s Reef-A-Palooza, you can purchase your own starter coral reef.) Back in May, they cleaned the glass tank in the basement of their house, where their homemade coral reef was living. After presumably watching their DVD of Baz Lurhmann’s Australia for the umpteenth time, the family went to bed. Several hours later, they woke up gasping for air, and were quickly hospitalized, the youngest child winding up in the intensive care unit. And yes, the coral reef had tried to kill them. 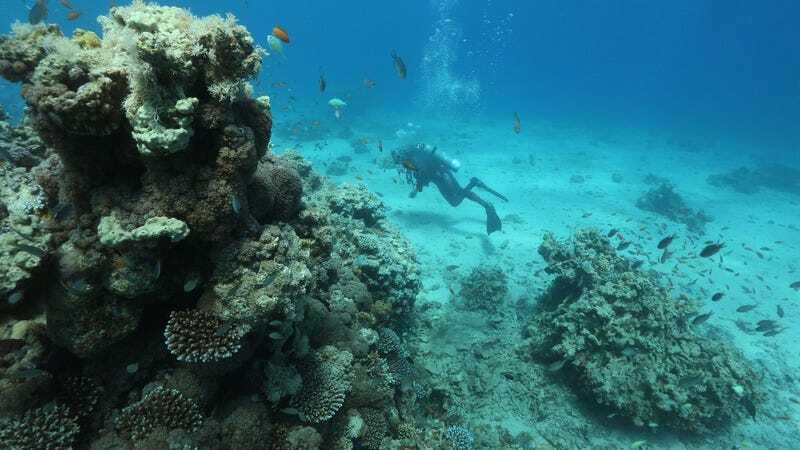 See, their reef contained a type of zoanthid corals—a relative of sea anemones—and when the coral experienced the cleaning, it reacted as though the cleaner were a predator. The creature released a highly potent toxin that proceeded to spread through the house like an aerosol, rendering the entire building deadly. Three hazmat groups were required to scrub the site, meaning every one of those safety workers had quite a story for when they got home and their roommate inquired, “So, what did you do today?” Still, the basic takeaway here is what we’ve long suspected—The Happening is real, but not from plants above sea level. It’s the ocean that’s trying to kill us. “I don’t want to create panic,” says Aurelia Tubaro, an Italian toxicologist who may want to be calming, but if so, she shouldn’t follow that sentence with a worried “but”: “We have to inform people,” she adds, because apparently “even experienced aquarium shop owners have gotten sick from their own coral.” The main takeaway here seems to be that we don’t even need to worry about reaching the point of some Mad Max-esque post-apocalyptic hellscape, because coral will kill us all long before that happens.